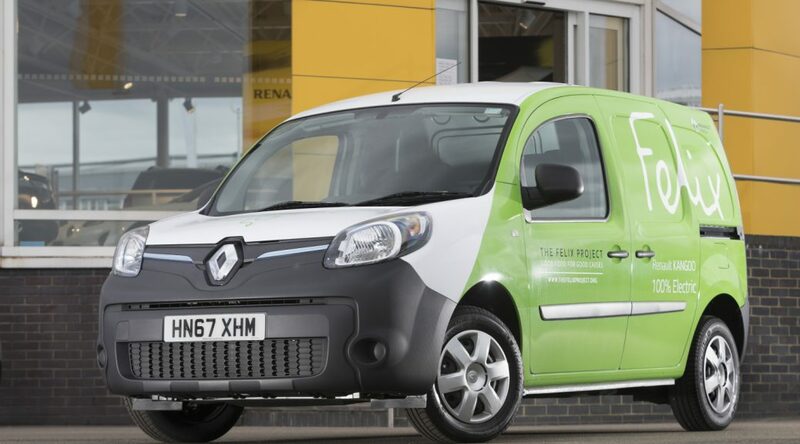 Renault UK is growing its support of the London-based Felix Project with the donation of a further seven all-electric Renault Kangoo Z.E. panel vans. This will allow the charity to expand its operation to provide the capital’s most disadvantaged inhabitants with fresh food. The development strengthens the partnership between the manufacturer and The Felix Project, which was established in November 2017 with the initial donation of a single Kangoo Z.E. The additional vans will grow the charity’s fleet by more than 50%, enabling it to significantly increase the 20 tonnes of food they currently deliver each week. This is food which is fresh yet cannot be sold for a number of reasons, that they collect from supermarkets, wholesalers and other suppliers, and distribute free of charge to around 200 charities and schools throughout London. In turn, these organisations then provide meals, snacks or food parcels to those in need, including elderly or homeless people, struggling families, those with mental health issues, refugees and asylum seekers. All of the vans will initially be based at the Felix Project’s central London operation. 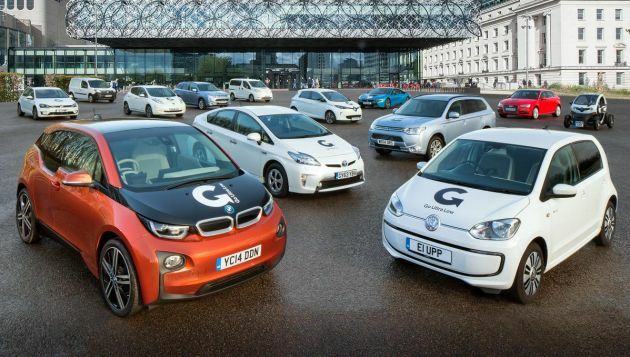 Vehicles that are already in-use in the depot will be allocated to the charity’s other sites with the result that the central operation’s distribution and collection service will be 100 per cent electric. The constant stop/start for collections and drops, average journey lengths and the demanding nature of driving in the capital mean that the Kangoo Z.E. is the perfect vehicle for the Felix Project. Immensely easy to drive with users not having to worry about gear changes and enjoying instant response from the advanced drivetrain, the van is ideal for negotiating the city’s traffic, while also returning a significant saving on fuel costs and being exempt from the London Congestion Charge. The ease-of-use is especially important to The Felix Project as the latest vans will not be assigned to one driver, but used by a variety of volunteers on evening runs into the capital. 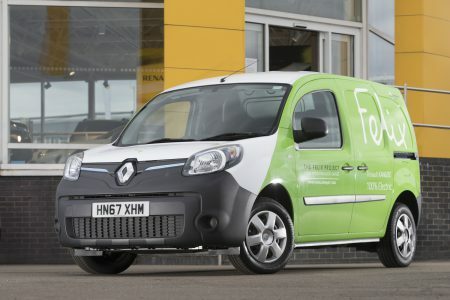 The Kangoo Z.E.’s payload of 640kg – near identical to that of its diesel counterpart – also makes it exceedingly versatile, the Felix Project’s existing Kangoo Z.E. is able to accommodate 32 crates of food, which is enough to deliver to four primary schools. The Felix Project was established in early 2016 in memory of Felix Byam Shaw – the son of one of the charity’s founders – who died suddenly from meningitis in 2014. The idea for the charity was born out of Felix’s compassion for fellow youngsters who didn’t have his advantages and, in particular, after he played in a football match and discovered that some of the opposing team of 10-year-old boys from South London hadn’t had anything to eat that day. “The new Kangoo Z.E.s will make a big difference to our operation, allowing us to plan more routes and also collect more donations that are made available on an ad hoc basis and which need to be collected in a short time frame. It’s great to have the extra capacity and the support from Renault. The Kangoo Z.E.33 has a real-world range of 124 miles and has a load capacity of up to 4.6m³, coupled with diesel-rivalling payload of up to 640kg. Together with the enhanced 33kWh battery, the Kangoo Van Z.E.33 benefits from an upgraded charger that reduces charging times and is twice as powerful as its previous one. The single-phase 7kW AC charger can take the new 33kWh battery to a full charge in just six hours, with the ability to ‘top-up’ the vehicle by up to 21 miles in just one hour. The Renault Kangoo Van Z.E.33 is available in a range of body styles, including Kangoo Van Z.E.33, Kangoo Maxi Z.E.33, Kangoo Maxi Crew Van Z.E.33 and Kangoo Maxi Crew Van Cab Z.E.33. 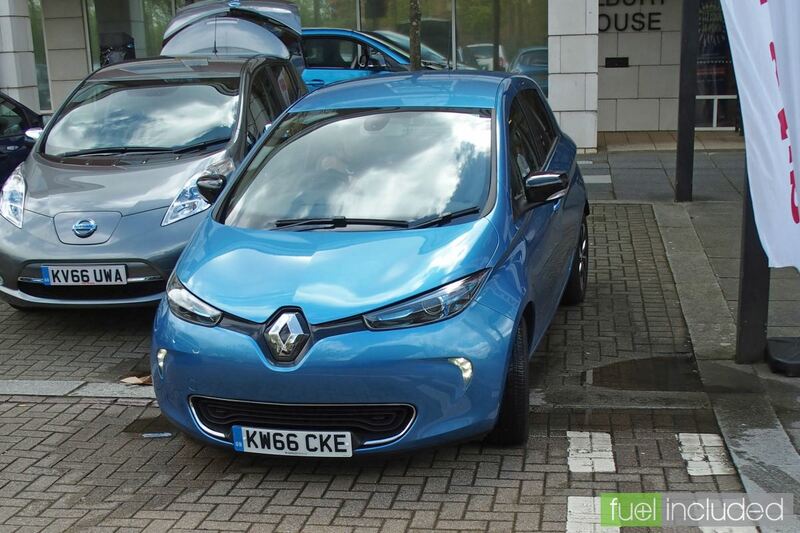 Auto Trader has revealed the Renault Zoe as the UK’s fastest selling used vehicle in July, taking just 18 days to shift off forecourts. It is the first time a fully electric vehicle has topped Auto Trader’s national top 10 list of fastest selling used cars. An electric hybrid variation of the Mitsubishi Outlander MPV beat petrol and diesel-powered counterparts to become the fastest selling used car in London last month, taking just 12 days to sell. Verdict: 4 stars – The updates to the Renault ZOE bring a welcome dose of power, while keeping the old car’s usable range. Otherwise, it remains the same spacious, relaxing, all-electric supermini it was before. 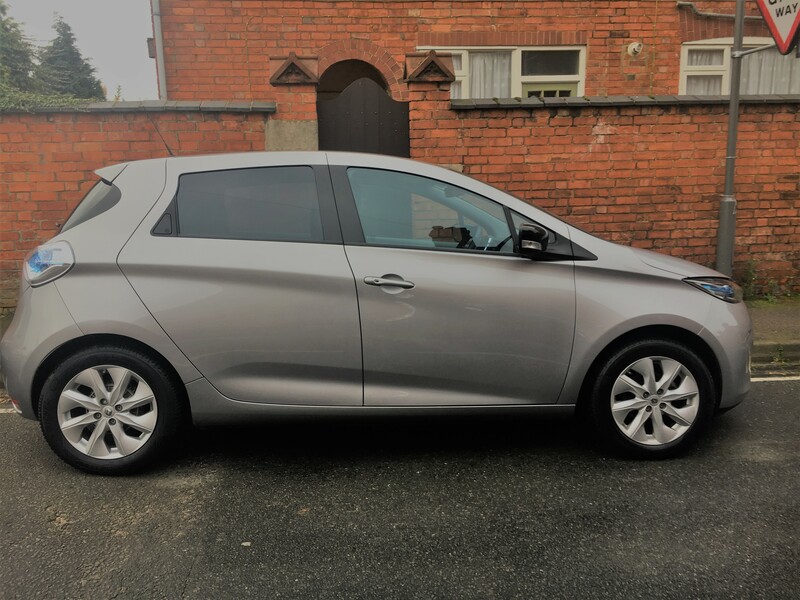 It’s worth sitting down to do some sums; the ZOE could save you money relative to established petrol or diesel-powered alternatives. Cars it’s more than good enough to be judged against. There’s definitely more ostentatious electric cars than the Renault ZOE, but few are as successful. The ZOE has been the best-selling EV in Europe three years in a row, and only in 2018 did it slip behind the latest Nissan Leaf. It’s a car that is – quite literally – going quietly about its business. To keep it fresh, the ZOE gains a range of updates for 2018. The infotainment system gets Android Auto for the first time and there’s a new purple paint finish on the options list. The range has been simplified, as well, with just two trim levels to choose from. This Dynamique S Nav we’re testing here has all the kit you’d ever need; a seven-inch touchscreen with sat nav, auto headlights and wipers, climate control and rear parking sensors are all standard. The top spec Signature Nav adds leather seats, a Bose hi-fi (a £350 option on the Dynamique S Nav), and a rear parking camera. The most significant upgrade comes to the motor, which produces 16bhp more than the old one. It’s an increase that is welcome on the move. While Renault quotes a 0-62mph time of 11.9 seconds (an improvement of 1.3 seconds over the old car) – at low speeds it feels much faster than those numbers suggest. The electric motor gives instant throttle response, letting the ZOE launch away from junctions and dart into gaps in traffic. 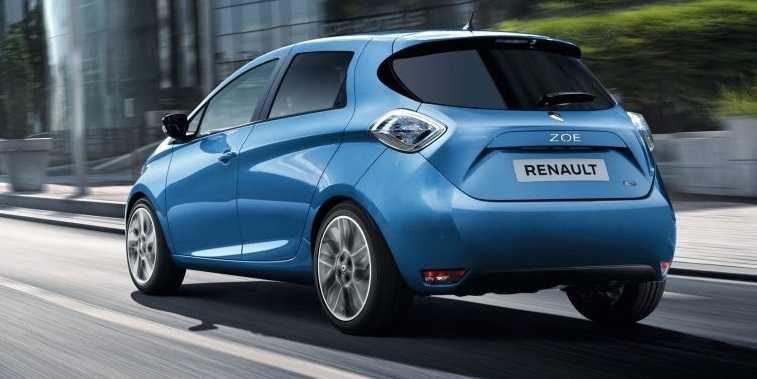 Renault’s European battery car sales champion, the Zoe, has just been tweaked and updated again. This time, you rather suspect, the refresh represents Renault in a counter-punching mood, doing what it can to maintain the car’s market-leading position in the face of, among other rivals, a brand-new Nissan Leaf. Still, if it delivers a better car to anyone who takes the electric plunge this year, those new owners won’t be complaining. This isn’t the most wide-ranging of mid-life overhauls. The edited highlights consist of a more powerful electric motor, an update for the touchscreen infotainment system, a new paint colour (Renault calls it Aconite Purple, and it’s the shade of our test car) and a few new pieces of interior trim. So, having had 91bhp and 162lb ft to offer last year, the Zoe now has 107bhp and 166lb ft with which to tempt your toe, although that still leaves it shy of the outputs of the BMW i3 and Leaf by some margin. 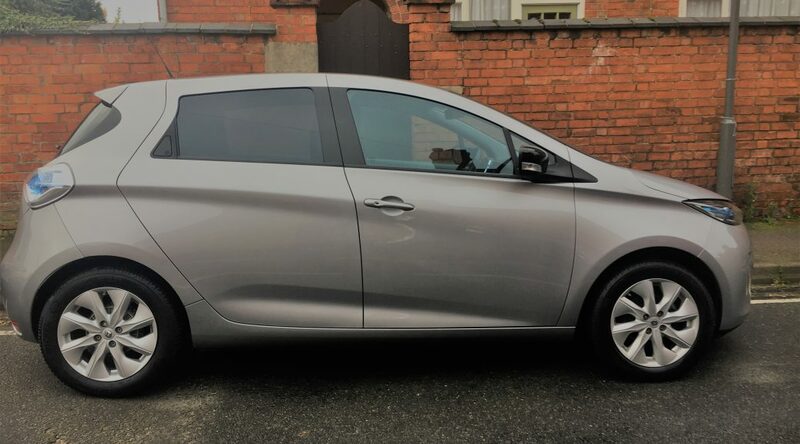 Handily, the Zoe’s motor upgrade doesn’t affect its energy efficiency or battery autonomy, with range remaining either 250 or 186 miles, depending on which of the EU’s lab test driving cycles you’re testing it on. Renault proudly claims this is the market’s longest-range mainstream electric car, and with some credibility, at least as far as UK consumers are concerned. It’s certainly true that none of the Zoe’s current crop of electric rivals (the Leaf, i3, Volkswagen e-Golf and Hyundai Ioniq Electric) has been rated to go quite as far on a single charge. June was the second-best month all time for plug-in electric car sales in Europe with more than 38,000 units put on the road. With year-over-year growth of 37% in June, market share jumped to 2.4% (2.2% for the first half of the year). The total sales in the first six months nearly hit 185,000 (43% more than a year ago) and it’s expected that more than 400,000 is possible in all of 2018. 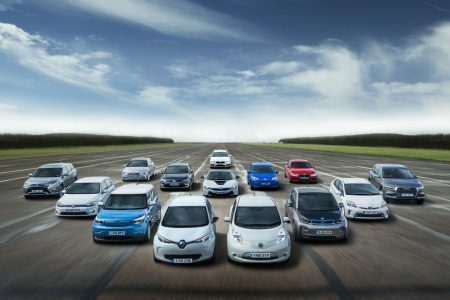 Renault ZOE this time managed to beat Nissan LEAF and close the gap a little bit in the race for the best selling model. As usual, the last month of the quarter brings some decent numbers from Tesla – 2,105 Model S and 1,829 Model X in June and 7,699 and 5,600, respectively for the year-to-date.